[PDF] The Language of Fashion Design: 26 Principles Every Fashion Designer Should Know | Free eBooks Download - EBOOKEE! Description: Learning a new discipline is similar to learning a new language in order to master the foundation of fashion design, you must first master the basic building blocks of its language â€“ the definitions, function, and usage. 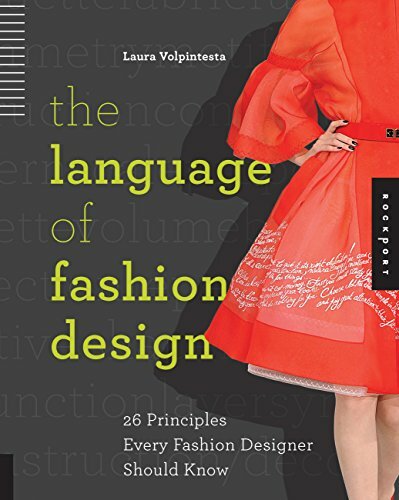 The Language of Fashion Design provides students and fashion designers with the basic elements of fashion design, divided into twenty-six easy-to-comprehend chapters. This visual reference includes an introductory, historical view of the elements, as well as an overview of how these elements can and have been used across multiple design disciplines. Whether youâ€™re new to the field or have been a fashion designer for years, youâ€™ll want to flip through the pages of this book throughout your career and use it as the go-to reference for inspiration, ideas, and reminders of how a strong knowledge of the basics allows for meaningful, memorable, and beautiful fashion that extends beyond trends. This comprehensive learning tool is the one book youâ€™ll want as a staple in your library. No comments for "[PDF] The Language of Fashion Design: 26 Principles Every Fashion Designer Should Know".